Have you seen any good movies lately? Whether it's "Guardians of the Galaxy" or "Teenage Mutant Ninja Turtles," the last weekends of summer vacation are big movie weekends for people--and maybe also for bed bugs! In July, we found out about a movie theater in Virginia which may or may not have had a bed bug infestation, but was treated with pesticides. We wonder how that has been going. This weekend, we learned about a bed bug infestation in a movie theater in our own state of California, in Lodi--a Central Valley city in San Joaquin County. 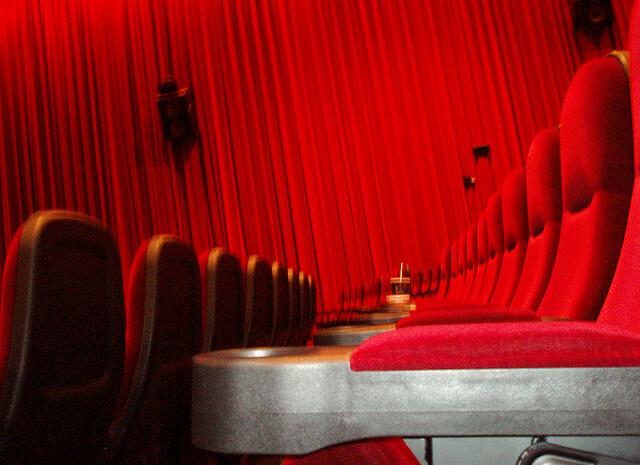 Apparently some moviegoers of Friday night were tormented by bug bites after they went home from Lodi Stadium 12 Cinemas. By Sunday, signs had been posted at the theater announcing a temporary closure for inspections. Theater management has admitted to a previous bed bug infestation and is reporting on social media that pest control will be in the theater on Monday dealing with the infestation. How would you treat a movie theater for bed bugs? The eradication method most likely to succeed would be heat treatment. Raising internal temperatures to 130 degrees for a few hours will reach any bug, nymph or egg wherever it lurks, in seats, in corners, in cracks, in curtains. Pesticides kill bugs they touch, but they cannot get everywhere. Call Alliance for help with bed bugs, whether in a simple bedroom or a huge public facility. We can kill bed bugs anywhere!